A Bouquet of Floral Bloom from Entice Spectacular and timeless flower inspired ornaments.Entice, the fine jewellery brand by the century old KGK group has unveiled an exoticcollection of jewellery inspired by exquisite flowers. Each bauble of the collection transpires a timeless saga of pristine beauty and delicacy. Since a long time, flowers have been associated with feminity, grace and charm. The same attributes are exhibited in Entice’s floral collection, where each piece is intricately crafted with stupendous precision and skills to make it a perfect adornment for a beautiful ‘you’. In this collection, there is something for everyone who loves jewellery and has a penchant for alluring fresh flowers. The collection is lightweight and strikingly gorgeous. It comprises of beautiful necklace, ring, earrings, ear stud and bracelets. Ear studs and rings withstunning rubies set in dazzling diamonds are certain to make you fall in love with them in a single look itself. Bracelets and earrings with diamonds in various shapes, set in white, rose and yellow gold are indeed irresistible for an avid jewellery lover. 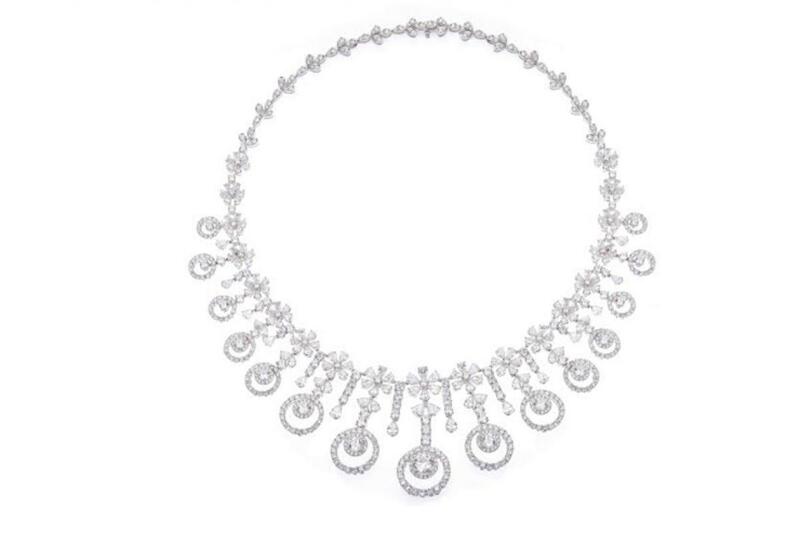 Diamond necklace and earrings in unique and intricate designs are a perfect bet for a glamorous evening out and are bound to get you loads of compliments. The variety of styles and designs make this assortment a ‘must-have’ for a versatile jewellery collection. Add some bloom to your jewellery collection with this exclusive floral range from Entice where each bauble is a treasure to own and a pride for the wearer. Taking the rich Indian jewellery heritage and enhancing it with a contemporary twist, Entice Jewellery offers a classical yet contemporary style; boasting an elegant rich look. 'Entice' was launched by KGK group at the turn of millennium in 2004 in Hong Kong. Following a huge success with boutiques in Hong Kong and with an impression that India is now modern by design, KGK launched its first boutique of ‘Entice’ in Jaipur in 2009. Entice today has 6 standalone boutiques in Hong Kong and India (Jaipur, Mumbai, New Delhi & Bengaluru).